Several years ago, I had the good fortune to participate in the planning and design of a designation for cumulative giving recognition at the LeBonheur Children’s Hospital in Memphis, TN. This project was like no other. The hospital’s CEO, foundation and marketing teams had made a commitment to high volume, high quality, high impact public art within the hospital. This was not a few pieces sprinkled throughout the facility. Instead, it was a fundamental directive: to use art as a transformative element in the lives of patients and their families. All other design features – architectural finishes, wayfinding and donor recognition – would be called to serve the art program, not the other way around. The resulting art collection has garnered national attention. 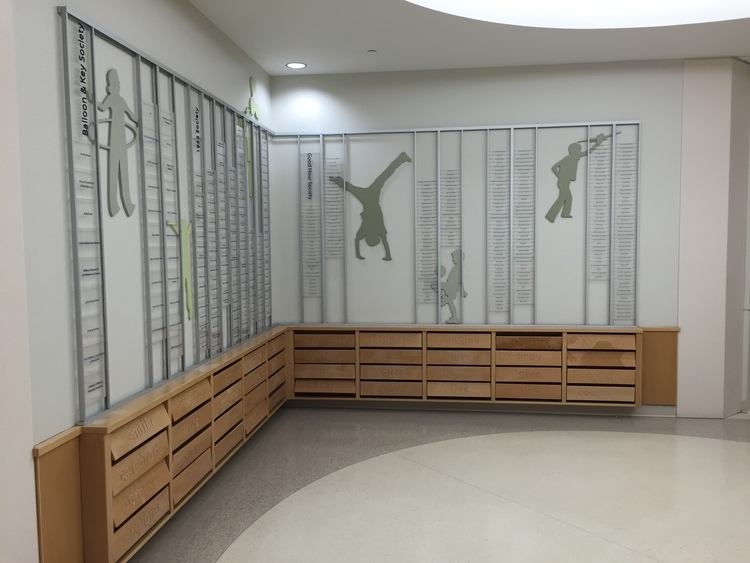 With more than 1,000 pieces, the public art program has become the signature brand of the children’s hospital, one which is now expanding into other facilities within the hospital system. Furthermore, it has drawn the community into the hospital and continues to inspire advocacy and philanthropic support for the hospital and its mission. 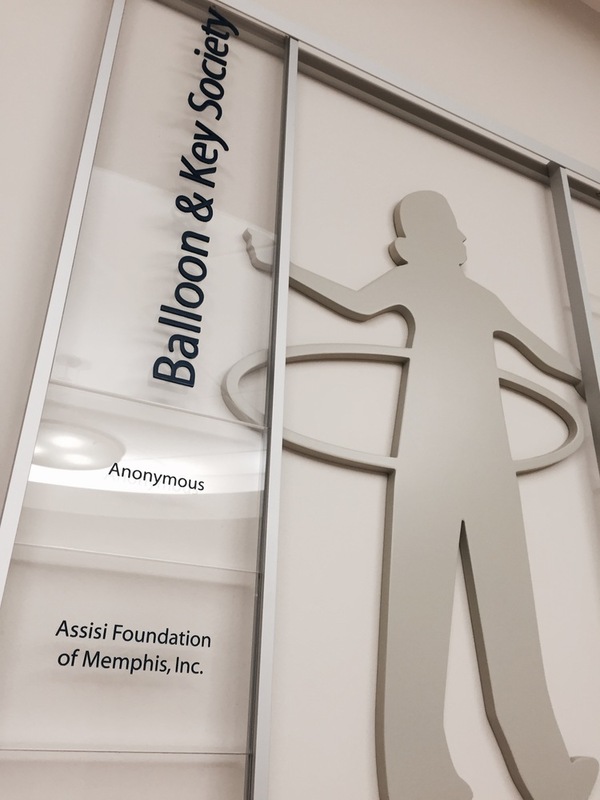 Donor recognition components been carefully crafted by the LeBonheur Children’s Hospital Foundation to support rather than compete with the art program. This recognition program is simple but effective with a similar set of design characteristics including the use of clear acrylic, silver metals, blue lettering and wood. The program has continued to expand as new programs and needs have evolved. 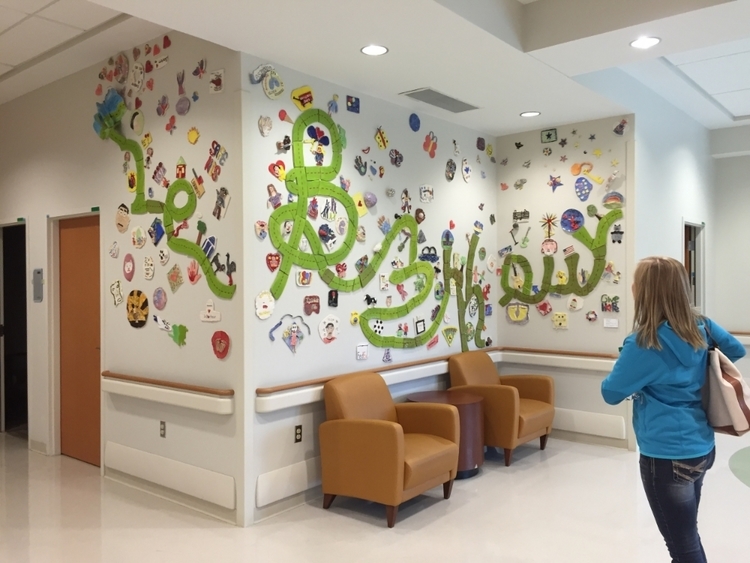 The photos here illustrate the specific character and variety of the donor recognition at LeBonheur Children’s Hospital.